Make Your Own Consent Themed Valentine's Day Card! Join the Crozier Center for Women and the Office of Diversity, Equity, and Inclusion for this Weaver Wednesday event! At this event, students will be able to make their own content themed Valentine's Day card. 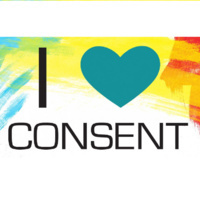 We will have some pre-printed designs that you can color, decorate, and then give to friends to start a conversation about affirmative consent. We'll also be providing some supplies for students to make their own platonic or romantic Valentine's Day cards as well. Finally, we'll also have light refreshments and some Crozier Center for Women giveaways at this event, so don't miss out!